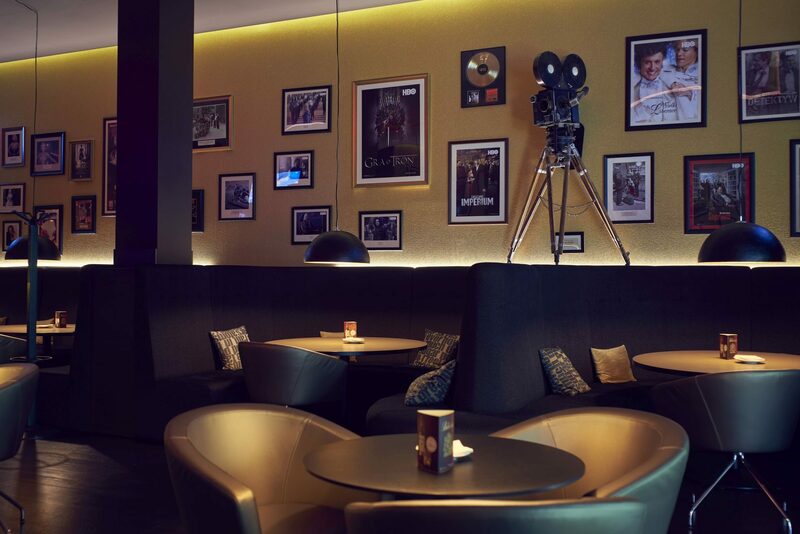 Łąkowa 29 is an address that is seared into Polish cinematography's history. 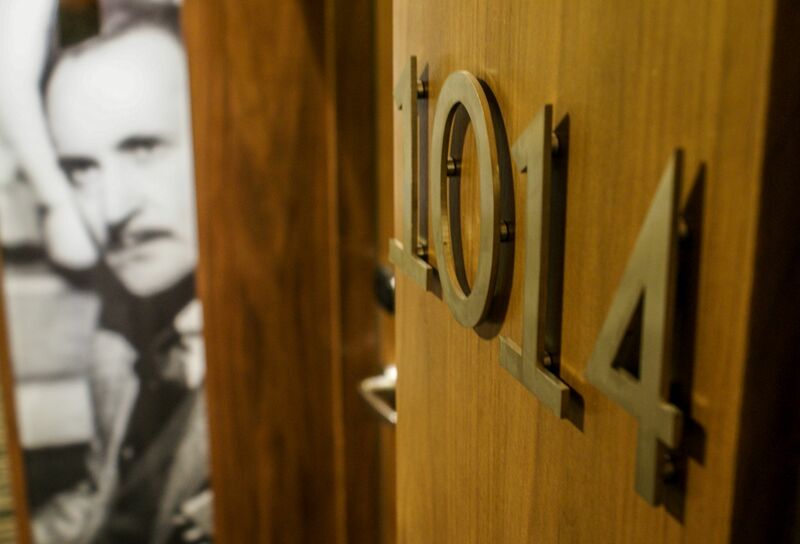 The films made here after the Second World War captured the imagination of film enthusiasts around the world. The Łódź Feature Film Studios have become a symbol of artistry and craft – motion pictures produced at this address have received many prestigious awards and Oscar nominations. Cinematic masterpieces produced here include Pharaoh (Faraon) directed by Jerzy Kawalerowicz, The Promised Land (Ziemia obiecana) directed by Andrzej Wajda, Juliusz Machulski’s Sexmission (Seksmisja) and Jerzy Hoffman’s The Deluge (Potop). Cult TV series were also filmed at the Studios – among them Playing for High Stakes (Stawka większa niż życie), Queen Bona (Królowa Bona) and Four tank-men and a dog (Czterej pancerni i pies). The fascinating story of the “Łódź Dream Factory” began in 1945. The Feature Film Studios were founded by the State National Council on the initiative of film director Aleksander Ford, whose goal was to rebuild Polish cinematography after World War II. In November 1945, the “Film Polski” – a state-run film production and distribution organisation – was founded and based here at Łąkowa 29. Soon afterwards, filming began. 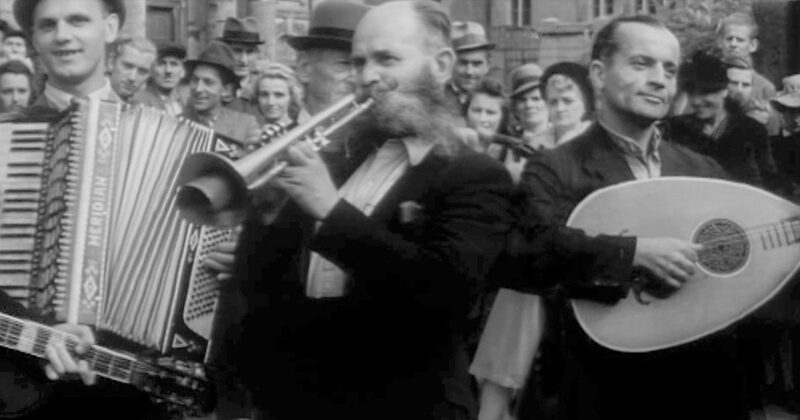 The 1946 Forbidden Songs (Zakazane piosenki) was the first full-length feature production. 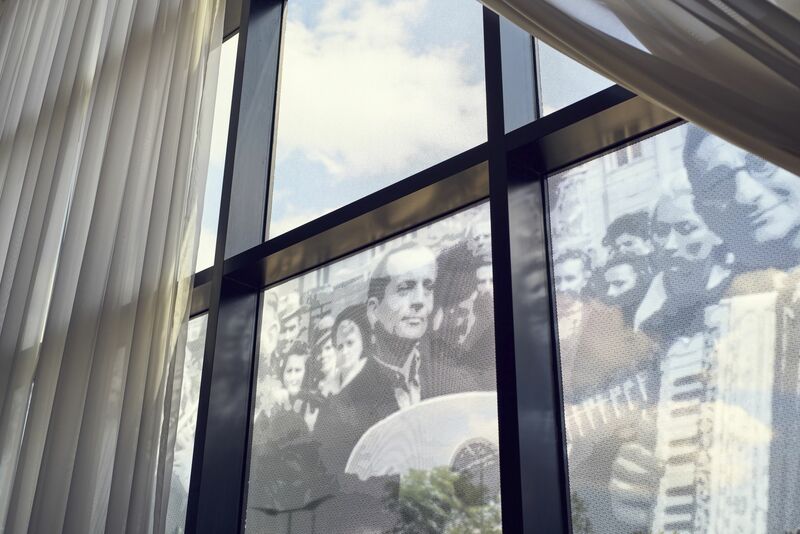 A still from this film can now be seen on the hotel's façade. 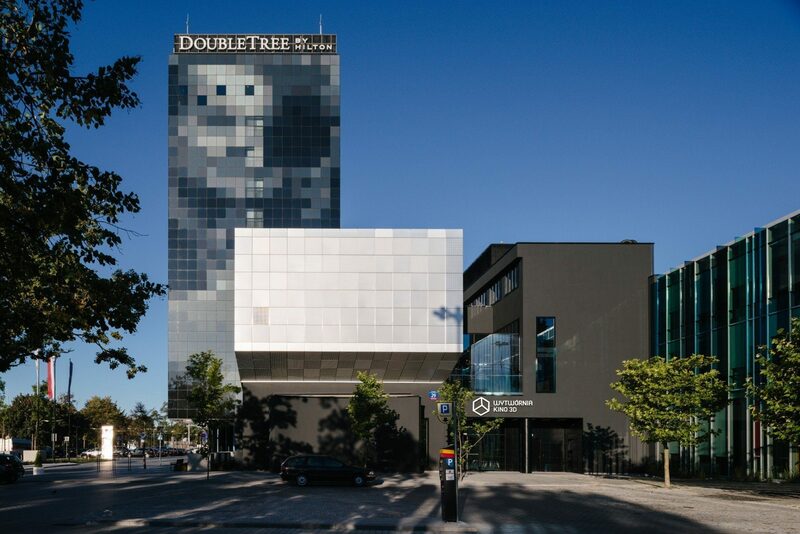 Double Tree by Hilton in Łódź is relplete with subtle accents evoking the history of Łąkowa 29. Discover them during your stay! The new life of "Dream Factory"
The era of rapid political change in Poland brought a number of difficulties to the Film Studios. The number of productions systematically decreased as the studios struggled until they were finally closed in 1998. The extraordinary past of Łąkowa 29 inspired new investors – the TOYA company – to revitalise the complex and preserve its extraordinary creative heritage. 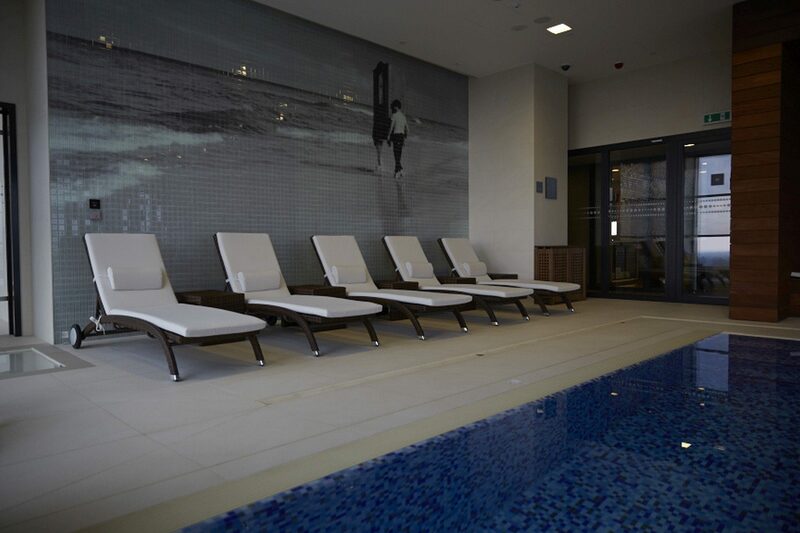 The Wytwórnia Club was launched in 2007, and in 2013 the DoubleTree by Hilton opened its doors to guests. Now, the creative past fits into contemporary standards and the outstanding results of extensive revitalisation have been highlighted by a number of architectural awards.